Periscope is a python module that searches subtitles for any given video on many online services and tries to find a correct match. 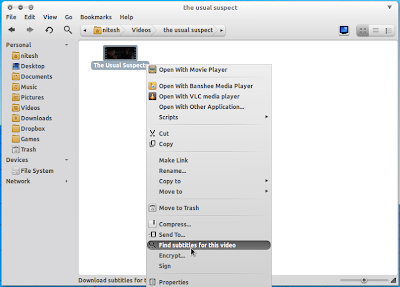 It comes with an easy command line interface as well as a nautilus extension so that you can download subtitles with a simple right click. Periscope searches subtitles by using as much info as available from the file and on the websites. Some websites allow you to use hash of the files, the size/length of the video or the exact file name. The goal behind Periscope is to return only correct subtitles so that the user can simply relax and enjoy the video without having to double-check that the subtitles match the video. You can easily change language by replacing en. In the second command, the first preference is for English and the second preference is for French subtitles. You can find subtitles in any language you prefer. 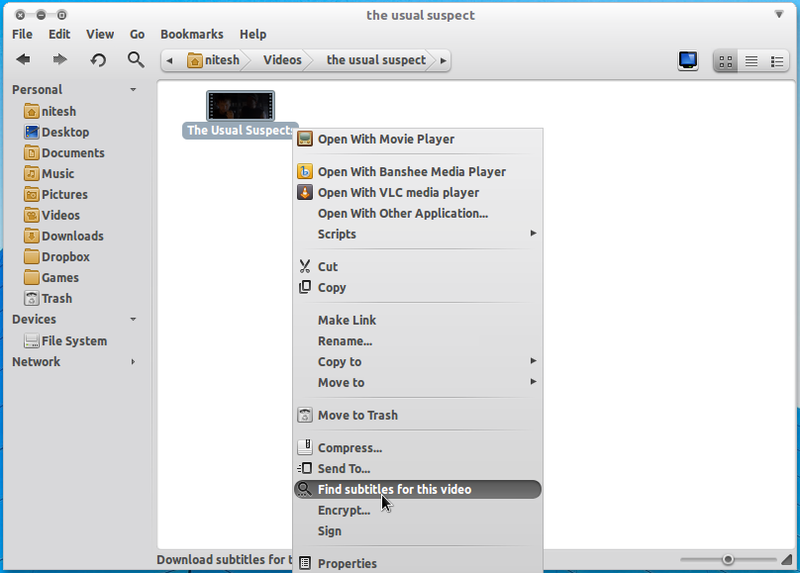 You can do the same thing by a simple right click using a nautilus extension. The first will find subtitles in English and the second will only look for subtitles in French if no English subtitle is found. All done. Now just right click any video file and click on Find subtitles for this video. Periscope will now look for subtitles for the file and will notify you when it has finished searching. 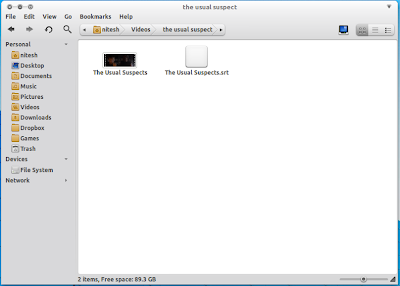 The subtitles will be downloaded in the same folder where the video is located.